Medical tourism is where people who live in one country travel to another country to seek medical treatment and surgical care. Many people, including those living in Malaysia, might not know that Malaysia is actually one of the top destinations for foreign patients seeking treatment. The Malaysia government started to focus on medical tourism in the wake of Asian financial crisis in 1997 as a tool for economic diversification in the healthcare and tourism industries. In 2009, Ministry of Health set up the Malaysia Healthcare Travel Council (MHTC) to serve as the primary agency to promote and develop the country’s medical tourism. MHTC is actively collaborating with medical providers from the peninsula to promote global awareness on Malaysia’s world-class healthcare services. You May Be Wondering, Why Malaysia? In recent years, with a stronger US dollar and cheaper air travel. 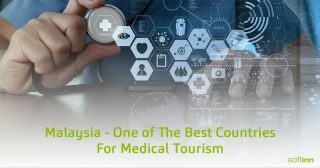 Malaysia has become popular not just for tourist who come here for vacation but also medical tourist who seek to find quality treatment at an affordable cost. Penang and Kuala Lumpur are the main two medical centers with Melaka coming in at third place. All three cities have airport which is easier for foreign patients to travel to. Besides that, Malaysia has some of the best-trained doctors in Asia. The majority of them are trained in US, Australia or UK. Another plus point is that doctors here can communicate in multiple languages. Numerous hospitals in Penang and Kuala Lumpur are also among Southeast Asia’s first recipients of the United States’ prestigious Joint Commission International (JCI) certification. Malaysia itself is already a famous tourist spot. The Malaysia Government is targeting up to 32 million tourists in 2017, out of which, 1 million will be medical tourist. Since medical tourism attracts the higher-end tourist from developed and developing nations, it will give local businesses especially those in the hospitality a boost. Malaysia is also one of the top destinations in the world for medical tourism according to MHTC together with countries like Costa Rica, Columbia, Mexico and Thailand. According to local newspaper TheStar, among the most sought-after treatments are cardiology, orthopaedics, in-vitro fertilisation (IVF), neurology, oncology, dentistry, cosmetic surgery and health screenings. CEO of Malaysia Healthcare Travel Council (MHTC) – Sherene Azura Azli, said the country will continue to see an increase in medical tourists seeking treatment in the country. Some key points by Sheren Azli. In 2016, more than 860,000 medical tourists sought treatment in Malaysia. Generating RM1 billion revenue from medical tourism for the country. In 2017, estimated 1 million medical tourists would visit Malaysia and the country is on-track to achieve RM 1.3 billion targeted revenue. Foreign patient would spend about RM1,000 in medical fee per visit, not including other expenditure in Malaysia. On average, a medical tourist contributes 2 times as much to Malaysia economy compared to regular tourists. 30% year-on-year growth in medical tourism. Private hospitals in Malaysia have an estimated 15,000 beds. What Can Hotels Do To Attract Medical Tourists? Understand where does the majority of them are coming from. Which country, when is the season they will arrive for treatment etc. After they have stayed at your hotel, do a remarketing to them as they have already heard about your hotel name. Give them special rate or promo code so they can do direct booking in the future. There is always a possibility that they will come back the following years or they will recommend to their friends. The cost is lower than relying solely on Online Travel Agency to bring booking as medical tourists are a potential recurring guest. By offering the best hospitality service to the guest. So that when they check-out of your hotel, ask them to kindly leave a review for your hotel. More positive reviews on the internet will encourage more guest to book your hotel instead of somewhere else. A study shows that a guest read a minimum of 6 reviews before decide to do online booking. Not all medical tourist might stay in 5-star luxury hotels. Some of them still prefer to stay in a budget hotel or boutique hotel. Even boutique hotels can offer something unique for medical tourist to leave a good impression. The hotel can reserve ground floor unit specifically for guest with a patient who is unable to walk around. Having your own hotel website is crucial to make a strong impression as guest will not be distracted by other information when making a decision. Listing your hotel on OTA platform will encourage competition among hotels in the same area, hotels might be forced to incentivise OTA in order to have a better position in the OTA page. Read More about the difference between Direct Booking & Online Travel Agency (OTA) and what effects they have on hotel.